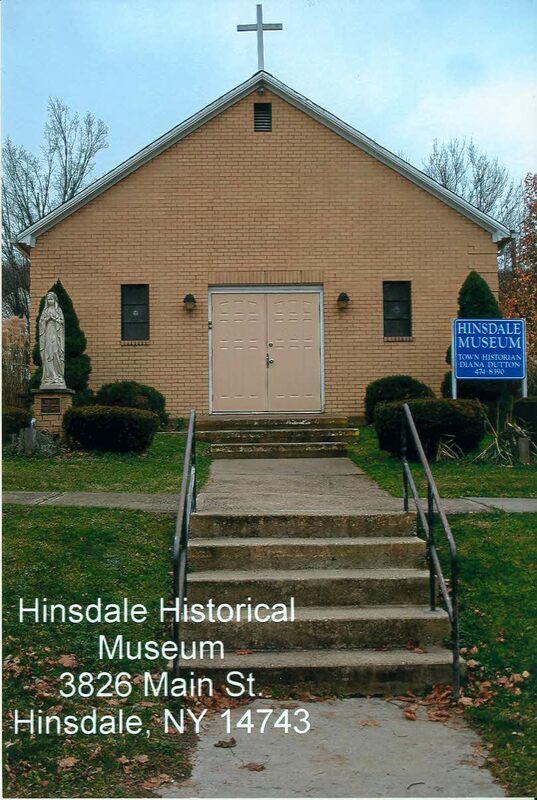 The Hinsdale Historical Society decided several years ago that they needed a place to retain and exhibit priceless items used in Hinsdale. Our members have collected and received both loaned and donated items which we currently inventory. We offer exhibits, many one of a kind items unique to Hinsdale, including various dairy items associated with local farming including Kents, Browns and Crosby Farms. We also house an early arrowhead collection, Mobil Oil display, old tools, and many primitives. Historical documents, church information, pictures and yearbooks from our area include Maplehurst, Ischua, and Haskell Valley can be viewed. Fire department equipment, scouting display and information on our famous Hinsdale Haunted House is also available to scrutinize.